We love a bit of Maritime Magic! Why should you sell your boat with Lloyds Auctions? Over the course of 15 years Lloyds Auctioneers and Valuers have developed into one of Australia’s premier auctioneering and valuation firms. We actively operate throughout all Australian states through our eleven dedicated auction facilities. Lloyds Auctions have offices all over Australia ranging from Northern Queensland down to Melbourne and Perth with our head office located on the Gold Coast. Let’s explore the greatest reasons why you would sell your marine assets through us! With Lloyds there is zero hassle! There is no nautical nonsense here! We learn the value of your boat and then handle all the enquiries and ensure that we get you the result that you’re looking for, eliminating the time wasters from your life! Usually, when you sell your boats via another online platform, they require you to invite potentials buyers to your home or to call your personal phone number to organise a viewing. They then come on to your turf and try and negotiate against the price that you have decided is the value of your boat! Half the time they are just there and pretend to be interested in purchasing but really have no intention of buying unless its for next to nothing! We like to refer to them as “hull kickers”! After dropping off your boat with us, the next thing you hear from us is to organise payment to your bank account! Dream sale process, right? Lloyds have a dedicated marine team that has great expertise in this space. Together they have the combined experience of almost 50 years in the industry, selling all sorts of watercraft! We cover everything from jet skis to super yachts, centre consoles to wake boats. You name it, we’ve had it all! For the last ten years we have had a weekly marine auction, consistently selling marine assets from all over the country! Recent examples of great campaigns include more than 90 brand new boats and a Superyacht all sold in one auction in March last year! 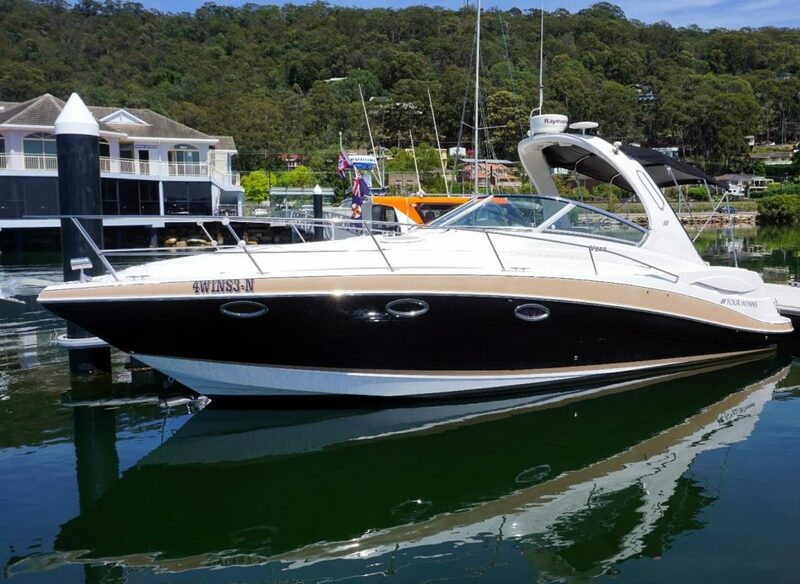 We also had the pleasure of selling a beautiful 2009 Four Winns V335 Cruiser for over $100,000 in November last year, just in time for the summer of that bidder’s dreams! Not to mention, we also executed a million dollar inflatable boat and marine business closure and sold all the stock successfully! Credibility is our middle name! We are trusted to sell marine assets for the government and councils all over the country including the Gold Coast City Council! We’ve handled very large business liquidations of marine assets and manage repossessions for major financiers and insurers across the country. If they all choose Lloyds as their preferred seller, you’ve got no reason not to! Stefan Ackerie thinks we’re pretty good! In 2017 we sold over 70 boats for Stefan Boating World with our completely trouble-free sales process! 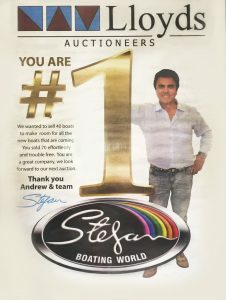 Stefan only wanted to sell 40 boats to create a bit more room but because we blew him away with our simple and unique sales strategy and got such amazing results, he came back with another 30! Stefan was so impressed with what a great job we did for him and his business, that he booked a full page ad in the Gold Coast bulletin just to thank us! The Gold Coast is like heaven for a marine enthusiast! 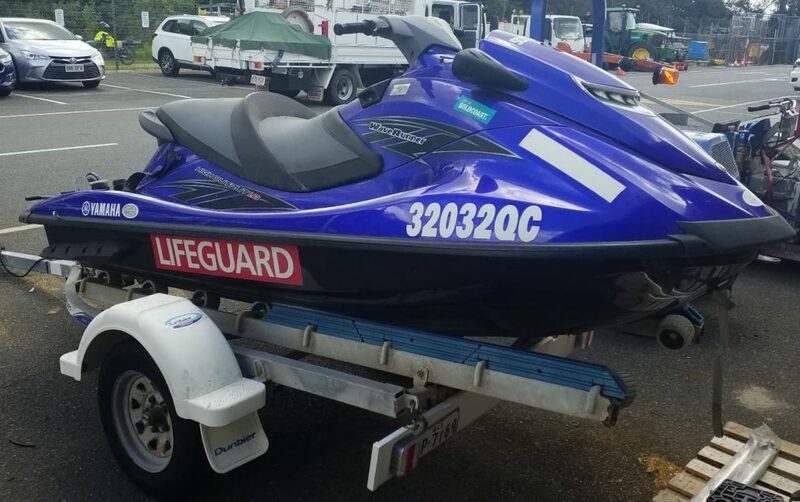 Our Lloyds headquarters are perfectly placed geographically for boat and jet ski sales, we are literally surrounded by water… plus we’re the only auction house on the Gold Coast! 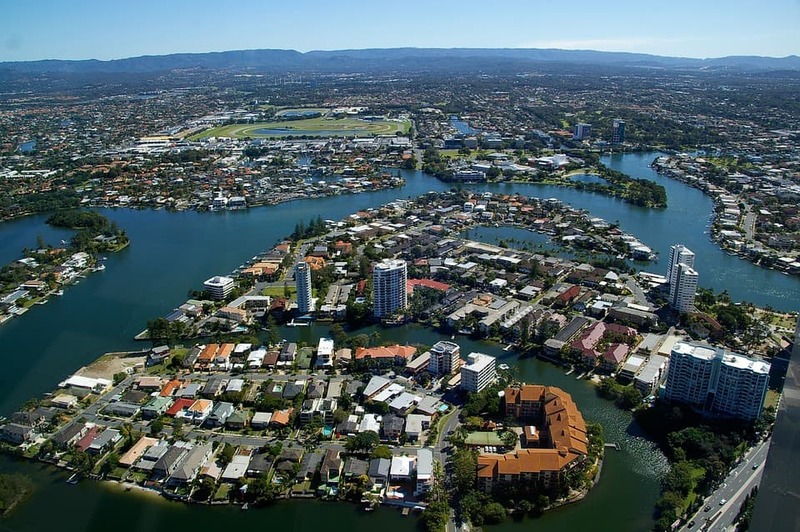 The numerous lakes and more than 400 kilometres of constructed canals on the Gold Coast form a massive area of waterways, not to mention we have some of the most stunning beaches in the world! The Gold Coast is the marine hub of Australia and that means we have plenty of bidders who are frothing to get out there on the water in their boat or zooming around on a jet ski! Whether its fishing or water skiing or just enjoying a few beers on the water, Gold Coasters are serious water babies! We have the customers, you have the watercraft… let’s team up! and you will see how easy and successful it is with Lloyds! Click here to sell your assets with us!